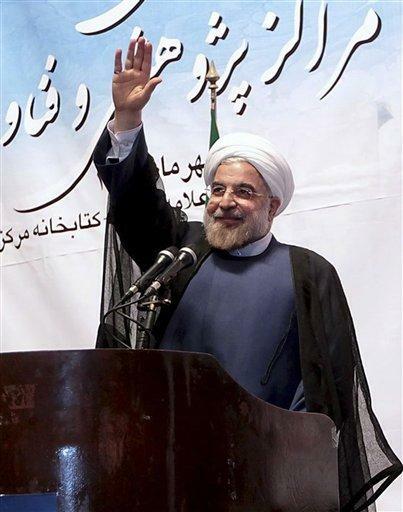 Iran's President Hassan Rouhani waves to participants at a ceremony marking the beginning of Tehran University's academic year, in Tehran, Iran. The talks closely followed a series of positive diplomatic steps between the Islamic Republic and the West. What started as an exchange of letters last month between President Obama and Iranian President Hassan Rouhani ultimately led to a 15 minute phone call between the two, marking the first direct talks between leaders of the two nations since 1979. That same week Secretary of State John Kerry met privately with his Iranian counterpart. To help put these developments in perspective, Global Journalist spoke to a journalist and a policy analyst about the likelihood a nuclear agreement could be reached in the near future. Phyllis Bennis is a fellow at the Institute for Policy Studies and the author of the book Understanding the US-Iran Crisis: A Primer. Negar Mortazavi is an Iranian-American freelance journalist based in Washington, D.C.
David Rohde is a two-time Pulitzer Prize-winning columnist for Reuters. Note: There is no video associated with this episode of Global Journalist.